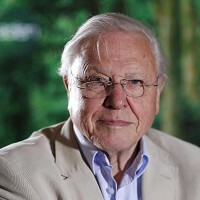 More people are heading to Africa on holiday as a result of Sir David Attenborough's popular wildlife documentary series about the continent which was screened recently by the BBC. A long-haul travel poll by holiday firm Hayes & Jarvis found bookings for breaks in safari hotspots Kenya and Tanzania are rocketing as are trips to the resorts in Egypt's Red Sea. The survey also found Mauritius and Mexico were performing well as tourist destinations, taking the top two places in the list of the 10 most popular places for long-haul holidays. And tourists are now more likely to head to Vietnam than Thailand when choosing a trip to South East Asia, the poll revealed. The Big Apple remained popular with Brits with it coming in at number four, behind Mauritius, Mexico and Kenya. Large numbers of holidaymakers have also been booking trips to Brazil, Costa Rica, China and the Caribbean island of Tobago. A spokesman for Hayes & Jarvis said one of the reasons Kenya was so popular was due to viewers of the hit TV show Africa keen to see the wildlife shown on screen for themselves. Adventurous holidays such as safaris make it even more important for travellers to make sure they are covered by comprehensive travel insurance.